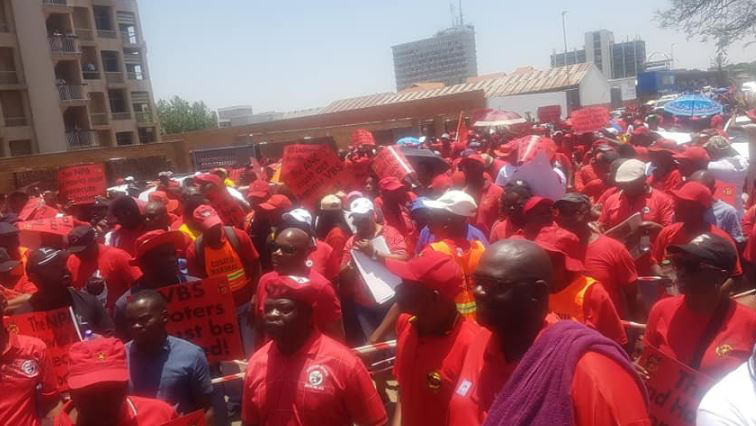 COSATU in Limpopo has handed over a memorandum to the Mogalakwena local municipality on alleged corruption and nepotism in the recruitment of workers. Mogalakwena is among 12 municipalities in Limpopo that illegally invested money with the now liquidated VBS mutual bank. Provincial Secretary, Gerald Twala says they are also demanding an investigation into money that has gone missing at the municipality. “We are targeting all institutions of government and the private sector, where there are allegations of corruptions and indeed we are demanding that the law enforcement agencies must come in and investigate but for Mogalakwena municipality for instead we had demanded that there must be a forensic investigation that is instituted to investigate these allegations of missing millions in that municipality,” says Twala. Meanwhile, the municipality has dismissed allegations of nepotism and corruption at the municipality. Deputy Director for Corporative Services, Jabu Mashamaite says all appointments are done according to correct recruitment policies. “There is no such thing as nepotism in our Municipality. We are doing recruitment guided by our policy. When you are talking about corruption, you just don’t say I am talking about corruption, which money is missing? … the money of five million rand in under investigation, the money of R2,4 million is also under investigation. That is why I said there is forensics that is appointed by our council to investigate,” says Mashamaite. The post Cosatu accuses Mogalakwena municipality of corruption, nepotism appeared first on SABC News – Breaking news, special reports, world, business, sport coverage of all South African current events. Africa's news leader..